We’re still keeping it real over here at the Simple Life Mom household. Part of that means creating healthy meals with real food ingredients that are quick and easy so that we don’t feel bogged down or overwhelmed and end up eating out. 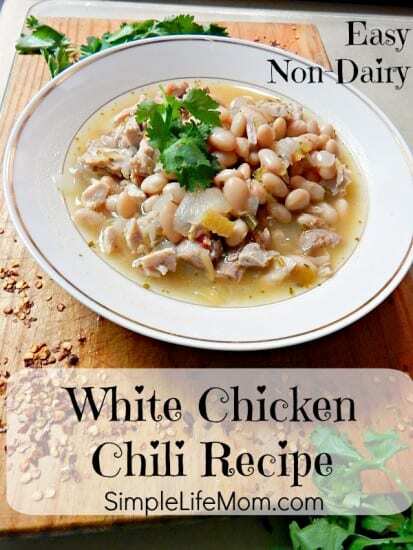 This easy non dairy White Chicken Chili Recipe is great for a weeknight meal that you enjoy because of how easy it is, and your family enjoys because of the yummy punch of flavors that it delivers. I will often cook a whole chicken with a Texas Rub (paprika, chili powder, cumin, etc.). We will have a little bit of leftovers along with the carcass. The next day, I will simmer this with about 4 cups of water to create a flavored chicken broth that’s ready to go. Another quick and easy tip for this recipe is to add chili verde sauce with lime. This adds a punch of marvelous flavor and then you don’t have to add the onions, garlic, or chilies; a lot faster when you need it. A great weeknight meal that's quick and easy, healthy and delicious. Combine chicken, onion, garlic, peppers, cumin, chili powder, salt, and coconut oil is a soup pot and simmer on medium heat until chicken is cooked (but still very moist) and onion is tender. If you choose to use canned chilies, then add them with the broth instead. Add broth, beans, and squeeze the juice from half a lime and simmer for 20 minutes. Chop cilantro and have available to add at the table. Option #1: Simmer leftover chicken bones and juices in water and spices to create broth. Option #2: For a quick alternative, use a jar of Salsa Verde with lime instead of adding the green chilies, onion, garlic, and lime. You may be able to cut down on adding extra spices as well. This looks delicious. 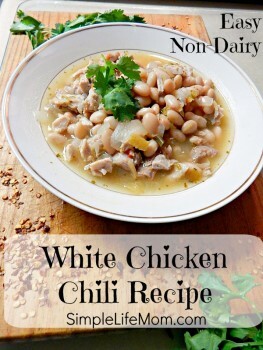 I love white chicken chilies and it is nice to have a non dairy option. Pinning! Oh my goodness this looks so good. I have been meaning to make some chili and this looks perfect. Thanks! This looks so good! Thanks for sharing the recipe with us. 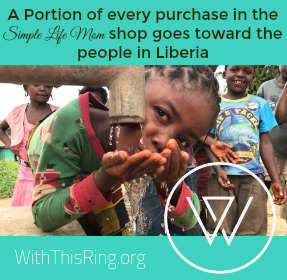 Thank you Jess, hope you enjoy. YUM! Looks super good. I’m printing it for next week’s plan! Thank you meg!! 🙂 hope you enjoy. 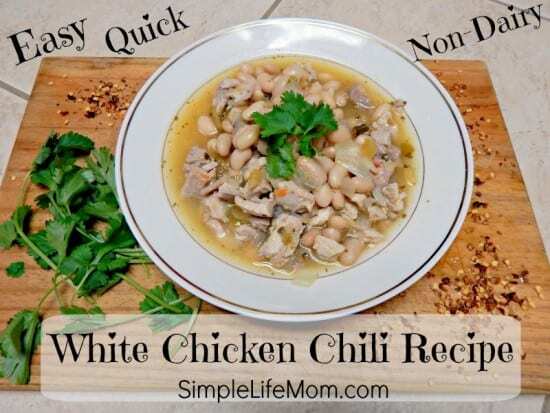 I just pinned your delicious Chicken Chili! I really appreciate you sharing with us at Full Plate Thursday, hope you have a great day and hope to see you again soon!